The second DLC expansion for Assassin’s Creed Origins, The Curse of the Pharaohs, releases tomorrow, March 13. It’s available separately for $19.99 or as part of the $39.99 season pass…. Not many blockbuster games get an educational mode as a free add-on. Today Ubisoft released Discovery Tour by Assassin’s Creed: Ancient Egypt. It’s available now as a free download for PlayStation 4, Xbox One, and PC owners of Assassin’s Creed Origins. It can also be purchased as a separate tool from the game on PC. The Discovery Tour mode allows players to freely explore the world of Ancient Egypt where Origins takes place, without any combat, missions, or time limits. You can also play as 25 different avatars, including Caesar and Cleopatra. “With the Discovery Tour by Assassin’s Creed: Ancient Egypt, we give everyone interested in Ancient Egypt the chance to enjoy its beauty and the realization that video games can be a source of inspiring knowledge,” explains Jean Guesdon, Creative Director of Assassin’s Creed Origins. The Discovery Tour is billed as a new type of edutainment tool. In addition to exploring the detailed virtual world, it also features 75 themed tours created by Ubisoft, in collaboration with History experts and Egyptologists. Discovery Tour mode is free to download starting today for existing Assassin’s Creed Origins owners on PlayStation 4, Xbox One, and PC. Non-owners can still enjoy the educational mode by purchasing it separately on PC for $19.99. The PC ranges from the best gaming destination to the worst, depending on your computer and your needs. It’s not the most family-friendly gaming device out of the box, but you can nab games far cheaper than anywhere else thanks to the abundance of constant sales with places like Steam and GOG. With just a little DIY know-how you can rig your PC into a family room device, complete with controllers and streaming. LEGO + Minecraft is an easy sell, but LEGO Worlds ended up being less than the sum of its parts. Still, LEGO gameplay is always kid-friendly and intuitive, and offers split-screen and online multiplayer. LEGO Worlds lets you earn gold bricks through quests and exploration as well as build your world brick-by-brick. Wonder Boy: The Dragon’s Trap is a remake of a 1989 platformer on the Sega Master System. The remake offers new hand-drawn graphics, a female playable character, and the ability to switch between old and new audio and visual settings. It’s a solid side-scrolling platformer with classic design and modern features. Indie developer Zeboyd Games specializes in retro-style RPGs, and Cosmic Star Heroine sets its lofty goals at emulating the golden era of 16-bit JRPGs, like Chrono Trigger. It mostly succeeds thanks to a great cast of characters, solid battle system, and killer soundtrack. If you like your RPGs pixelated, don’t sleep on Cosmic Star Heroine. Charming, pixelated farming sim Stardew Valley was my personal Game of the Year last year. The Collector’s Edition, which released this year, is mostly an excuse to buy a physical version, which includes a pull-out map, digital soundtrack, and a guide book. Cooperative multiplayer is slated to arrive sometime next year. The LEGO games have consistently remained one of the best go-to family-friendly series over the last decade. If you’ve played any of them, you’ve played them all. Marvel’s tone and characters mesh particularly well with LEGO’s silly storytelling and style. LEGO Marvel Super Heroes 2 tells a tale of time-travel, meshing together multiple realms from the modern MCU, including Asgard, Sakaar, and Wakanda. Traditional real-time strategy games are incredibly rare these days as the genre shifts into MOBAs, making the Halo Wars sequel a nice treat for both fans of the long-running sci-fi series and RTS gameplay. Controlling an RTS with a controller is never easy but Halo Wars 2 manages it with ease by focusing on smaller, intense skirmishes. The new card-based Blitz mode cleverly adds strategic deckbuilding and an enjoyable progression system into multiplayer matches. Veteran adventure game developer Ron Gilbert took to Kickstarter to create this most excellent retro adventure game that infuses all the best elements of a classic 90s LucasArts adventure set within an intriguing Twin Peaks-style mystery. With intricate and clever puzzle designs and a compelling story all the way to the end, Thimbleweed Park has reignited my old adventure gaming passion. I played this atmospheric indie title earlier this year at PAX South and knew it would be one of this year’s critical hits. It’s a narrative-rich first-person adventure with elements of mystery, horror, and discovery as you play a young woman returning to the creepy, yet fascinating house where all her relatives died. Another fantastic fighting game by the Mortal Kombat developers, Injustice 2 spreads its grasp over even more DC characters, including Swamp Thing and Gorilla Grodd. The fun single player campaign continues the excellent What-If setting of Superman turning bad guy. If you’re tired of being disappointed in the DC films, take a look at Injustice 2 to get your fix. Fortnite is an online cooperative action game that combines third person combat and exploration with crafting weapons and building towers. There’s a lot of content but much of it is driven by a laborious progression system and loot boxes – it’s slated to become Free to Play next year. One major treat, however, is the Battle Royale mode, which directly apes the hugely popular last-man-standing shooter PlayerUnknown’s Battlegrounds. Fortnite could be a great alternative to provide a more cartoony, family-friendly version of that popular multiplayer mode. Supergiant Games is one of the best indie developers of our time, and well known for crafting richly story-driven games with beautiful soundtracks. Pyre continues the trend, using a unique sports-like combat system set within a purgatory-like world, as your band of survivors compete in a series of games to earn their freedom. War of the Chosen is such a big expansion to last year’s stellar tactical squad sequel XCOM 2 it could almost be considered XCOM 2.5. New hero classes are balanced by a new menace: the Chosen, three boss-like enemies who appear throughout your campaign to harass you, as if liberating the planet wasn’t hard enough already. Ark has been in Early Access so long (2015) it’s weird to see it officially launch. The dinosaur-survival game has waned in popularity but remains an incredibly ambitious, time-sucking create-your-own-adventure world, as you start with nothing but your underwear on an island filled with resources – and dinosaurs! Play by yourself or join a server and band together to create entire villages and wage war. Everything’s better with dinosaurs. Halo developer Bungie’s foray into a loot-based cooperative shooter was divisive when it launched in 2014. It was bolstered over the years by well-received DLC and expansions. Now with Destiny 2 Bungie has comfortably hit its stride, creating a more compelling story and world and while retaining the action-focused gameplay that makes the game a popular destination for online co-op. The long-awaited Cuphead finally released this year, giving players a unique platforming experience set within the very stylized, jaunty world of 1930s animation. It looks gorgeous but it’s brutally difficult, which is why we’re putting it under the Older Kids category. One of the bigger indie Kickstarter games of the year, Battle Chasers: Nightwar is based on an old late 90s comic series that you probably never heard of. The eye-catching art style and characters will draw you in, but you’ll stay for the meaty JRPG and challenging turn-based combat. Star Wars Battlefront 2 has been in the mainstream news for all the wrong reasons, as publisher EA has seemingly hamstrung their own game with a poor progression and loot box economy. If you can forgive that, the multiplayer 40-person battle grounds are still rock-solid, featuring the most jaw-dropping Star Wars action we’ve ever seen outside of the movies themselves. Any fans of the BioShock and Dishonored games need to play Prey, which is not to be confused with 2006 game of the same name. This Prey is developed by the Dishonored devs, and features the classic Space Station Gone Wrong. Protagonist Morgan (whom can be male or female) must battle an alien species that can hide in plain sight. It’s dripping in atmospheric tension and important choices that change the outcome of the ending. It’s tough be an MMO without ‘Warcraft’ in your title, but the Elder Scrolls soldiers on thanks to its own rich fantasy-verse based on the best-selling single-player games. Morrowind represents The Elder Scrolls Online’s first major stand-alone expansion pack, based on The Elder Scrolls III: Morrowind. It richly recreates that beloved alien world of dark elves and giant mushrooms while adding lots of welcome content to one of the best MMOs on the market. Before the Storm is a mini-prequel to 2015’s breakout episodic adventure series Life is Strange. The prequel stars teen Chloe Price before discovering her time-travel powers, as she begins to develop a relationship with classmate Rachel. Two episodes have been released so far; the third should arrive within the next month or two. Few tactical RPGs have become as beloved as 2014’s Divinity: Original Sin. Larian Studios went back to the Kickstarter well to produce this sequel, which is every bit an improvement, combining four player online multiplayer with a lengthy 50+ hour adventure within the rich world of Rivellon. It’s the closest you’ll get to playing Dungeons & Dragons in a modern video game. Last year’s Dishonored 2 was a fantastic sequel that gave us more awesome Batman-like stealth gameplay with BioShock’s level design and story-telling. Death of the Outsider is a stand-alone expansion (similar to Uncharted: The Lost Legacy) that ties up one loose thread from the sequel: the enigmatic, brutal assassin known as Billie Lurk. You don’t necessarily have to play Dishonored 2 to understand the story, but I heartily recommend the entire series. Ubisoft took an extra year to develop the tenth Assassin’s Creed game, and the extra time definitely helped. 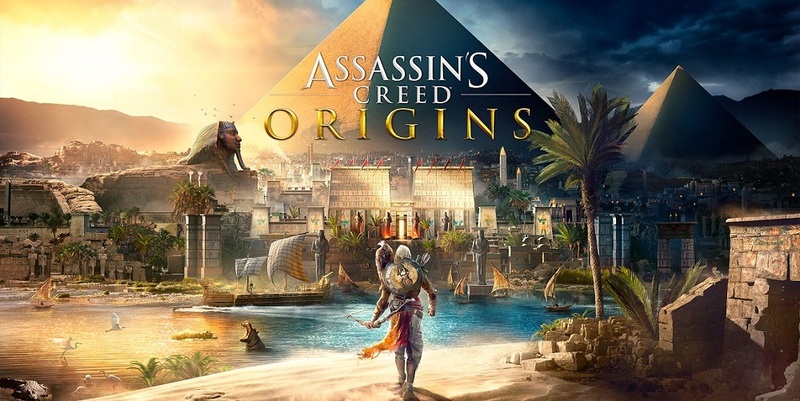 Origins is one of the best Assassin’s Creed games of all time, with an intriguing Ancient Egypt setting, new combat mechanics, and fun loot system while retaining the rich attention to historical detail and open world design that makes the series so compelling. It’s depressing that a game about killing Nazis would suddenly spark controversy in 2017, despite that being Wolfenstein’s whole deal since the 80s. The New Colossus is a direct sequel to 2014’s Wolfenstein reboot, this time taking place in an alternate United States, now occupied by the winning Nazi forces. The first-person shooter remains exhilarating but the real treat are the all-too human character moments with your plucky resistance group. Death, taxes, and Call of Duty. Every year adds another notch to the giant first-person shooter franchise. Call of Duty: WWII takes the series back to where it began: World War 2. The single-player campaign is by-the-books but the multiplayer is solid as always. The popular cooperative Zombies mode returns better than ever, proving that the only thing more fun to kill than a Nazi is a zombified Nazi. PlayerUnknown’s Battlegrounds exploded onto Steam earlier this year with millions of players vying to be the last one standing in a 100-person Battle Royale. Everyone drops onto a third-world island and fends for themselves, scavenging weapons, items, and vehicles in what has quickly become one of the most enjoyable games to spectate live through Twitch and YouTube. While the Xbox One has somewhat lacked in big exclusive games this year, it did receive a notable hardware release in the Xbox One X, which is marketed as the most powerful console ever built. Most of the big games are (or will be) enhanced with free updates, adding 4k support for the Xbox One X. If you don’t want to spend it all on raw power, the Xbox One S still features all the great games below, many of which feature cross-platform purchase with the Windows 10 PC version. The biggest game Xbox has going for it this year is an Early Access title: PlayerUnknown’s Battlegrounds (arriving on Xbox Game Preview in December). PUBG exploded onto Steam earlier this year with millions of players vying to be the last one standing in a 100-person Battle Royale. Everyone drops onto a third-world island and fends for themselves, scavenging weapons, items, and vehicles in what has quickly become one of the most enjoyable games to spectate live through Twitch and YouTube. The PlayStation 4 has had a solid year in 2017, with several stellar exclusive titles like Horizon Zero Dawn and Persona 5. The PlayStation 4 is starting to get on years, with the half-step PlayStation 4 Pro released last fall which added 4K support. The good news is you can nab a regular PS4 for relatively cheap this holiday season, and there’s a nice mix of games for kids and teens. The unique mashup of Japanese RPG and Disney properties is well known for having bizarre titles. This giant compilation includes every Kingdom Hearts game you could ever went: Kingdom Hearts 1 and 2 and the myriad of mobile and handheld spin-offs. Fans are still desperately waiting for Kingdom Hearts III and this could be a great excuse to jump back in. 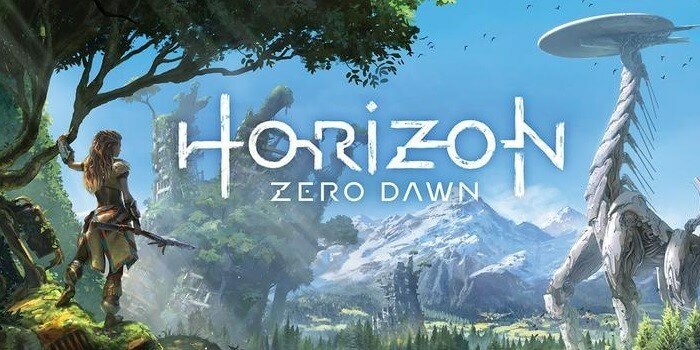 One of the biggest, best-reviewed games of the year stars young woman Aloy in a unique future world of tribal humans and prowling robotic animals. The open world of Horizon Zero Dawn is breathtakingly gorgeous, and the kind you can spend dozens of hours getting lost in. Horizon Zero Dawn is one of the best games of the year and should not be missed by PS4 owners. Final Fantasy XII may be the most forgotten Final Fantasy game, arriving towards the end of the very long PlayStation 2’s life cycle. A year later Japan received an updated version with tons of improvements, but the rest of us would have to wait a decade before receiving this HD remaster. It’s very likely that even big JRPG fans may have missed FF12 the first time around, making this excellent HD version a no-brainer. The Lost Legacy began life has a DLC expansion to last year’s Uncharted 4, but ended up big enough in scope and breadth to warrant a full release. It takes place after Uncharted 4, but this time focusing on previously supporting character Chloe Frazer who teams up with mercenary Nadine in a very Uncharted-like plot and action. Awesome to see a big AAA spin-off headlined by women. 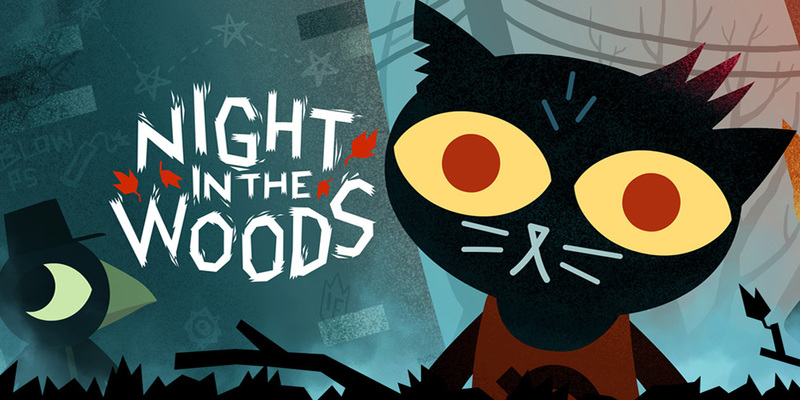 This indie adventure game defies standard genre gameplay, focusing instead on a narrative-rich story and heavy themes like depression as you explore your hometown of Possum Springs and interact with the anthropomorphic residents. An excellent, introspective mystery. The sequel to 2010’s Nier may be one of the biggest surprises of the year. The third person action-RPG is set within a far-flung future in which mankind has retreated to the moon, sending androids to battle the machines that now rule the Earth. The combat is great, as expected from the Bayonetta developers, but the multiple-endings story and complex characters really sets it apart. It doesn’t get much more Japanese-RPG than the Persona series. The stylistic series combines a high-school age social sim with RPG-like combat, as students battle using their personas. By building relationships in the real world you can gain bonuses when exploring the dungeons of the Metaverse. Persona 5 is widely considered not only the best in the series, but one of the best modern RPGs, period.